On 06/24/15 06/26/15 Director of School of Law, PhD, Associate Professor Kalisheva attended Moscow (Russia) 58th Annual Meeting of the International Law Association, dedicated to the 70th anniversary of the United Nations Charter and international law. Such a high forum dedicated to this significant event, was attended by prominent Russian and foreign scientists: Director of the Institute of State and Law of the Russian Academy of Sciences, Academician of the Russian Academy of Sciences Lisitsyn-Svetlanov A.G., President of the Russian Association of International Law Doctor of Law, Professor AY Kapustin, Doctor of Laws Professor Kartashkin V.A. 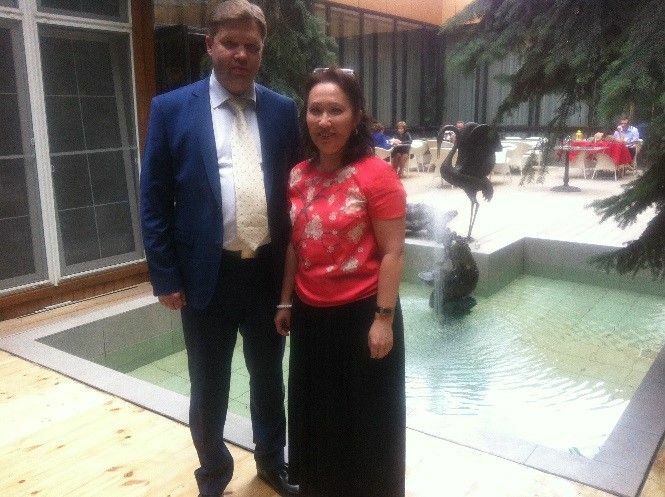 - Honored Lawyer of the Russian Federation, more than 10 years worked at the United Nations as an employee of the Department of Human Rights, Kuzmin G.V. - Russian Foreign Minister, William Butler, Professor, Doctor of Laws Professor Chernichenko S.V., Lyakhov E.G., Neshataeva T.N., L.N.Galenskaya, L.V.Korbut, A.A.Moiseev and many others. 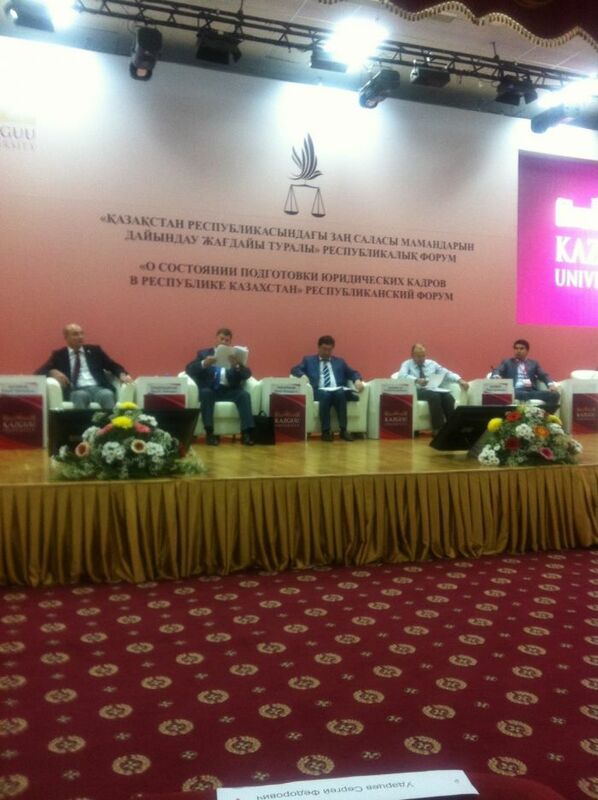 The plenary and panel sessions focused on topical issues of the theory and practice of international law. Speech of Kalisheva Zh.G. "The implementation of the principle of cooperation by the Republic of Kazakhstan states: Theory and Practice" has caused scientific interest in the High Assembly. 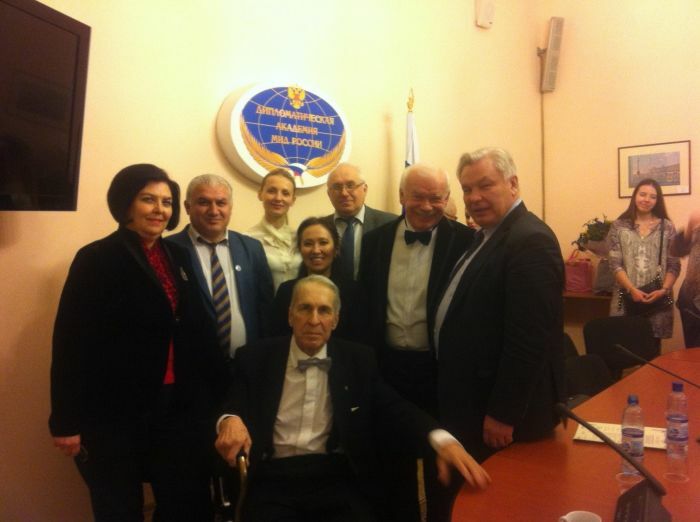 In the course of the International Law Association Kalisheva held negotiations on cooperation with leading universities of the Russian Federation, and reached an agreement on cooperation in science and education, placing scientific papers Law School faculty in the journal «Advances in Law Studies» Russian University of Peoples' Friendship. VIII Interdepartmental scientific-theoretical conference "Formation of professionally significant qualities of the officer-engineer. 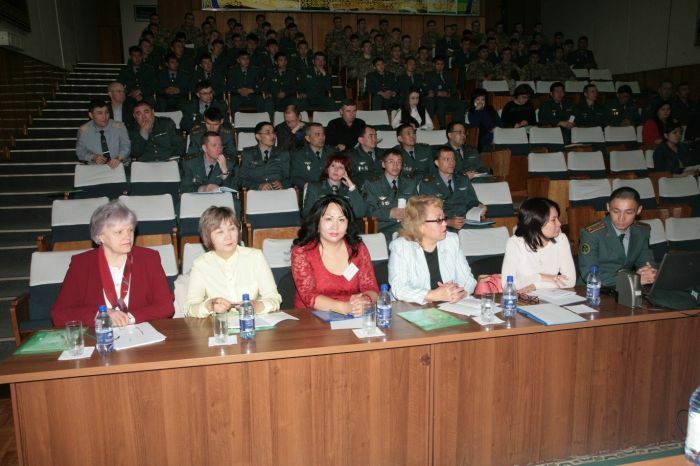 Military-pedagogical aspects"
23 April 2015. 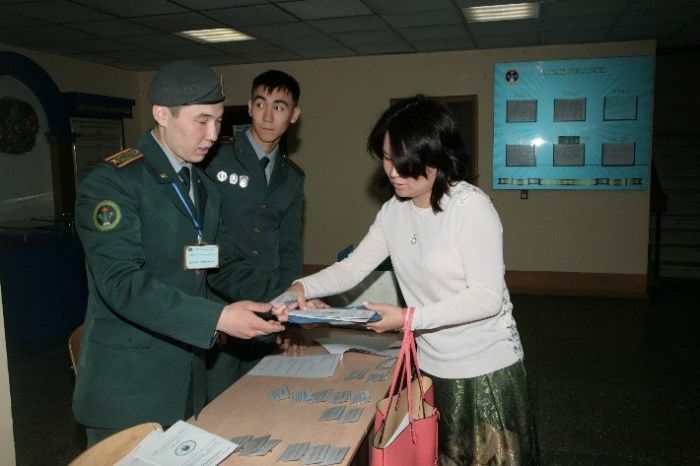 In the Military Engineering Institute of Radio Electronics and Communications of the VIII Inter-departmental scientific-theoretical conference of the Ministry of Defence of the Republic of Kazakhstan on the theme: "Formation of professionally significant qualities of the officer-engineer. Military-pedagogical aspects. " First Republican Forum "The state of judicial training in the Republic of Kazakhstan"
June 17, 2015 Rector AlmaU Kozhahmetov A.B. and Director of the School of Law Kalisheva J.G. 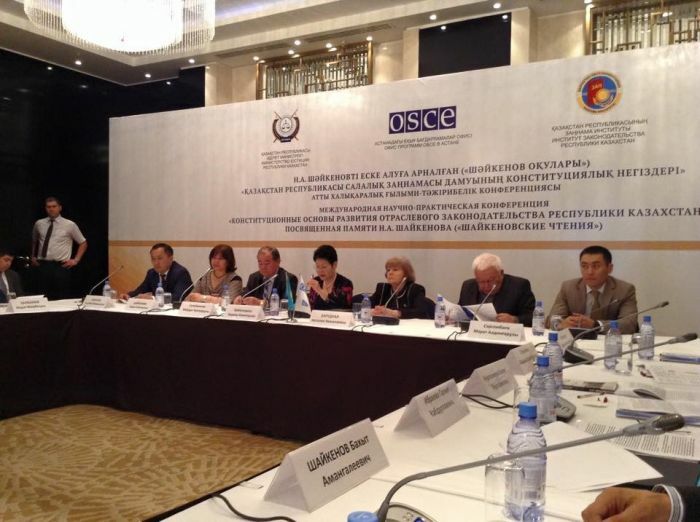 participated in the first Republican forum "On the state of judicial training in the Republic of Kazakhstan" with the participation of Vice-Minister of Education and Science of Kazakhstan Balykbaeva T. which was held in Astana. Topics of panel sessions: "On the quality and standards of legal education", "On the reform of legal education and the demand for professional legal staff." 1. The quality of education through competition. 2. Competition through openness and transparency. Competition, the speaker said, should be seen as a synergy of transparency, content and consumer confidence and employers in the education sector. "No one should be a judge himself or for himself to set right" (Code of Justinian). 3. Development of clear assessment criteria of rating schools. 4. The ranking of universities by employers in the legal profession. 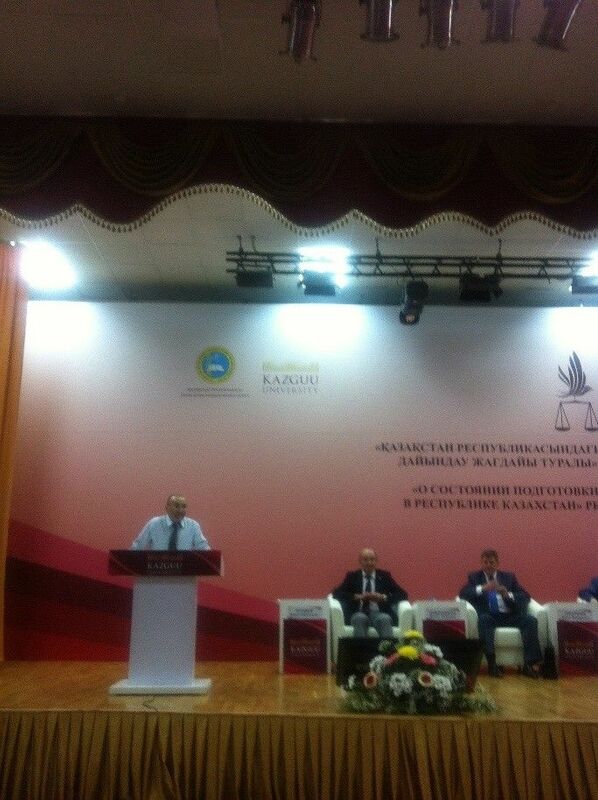 In this direction in the field of legal education in such activities, in the opinion of Kozhakhmetov must carry KazBAR (Kazakhstan Association of Commercial Lawyers), whose aim is to promote an open and transparent market of legal services and legal assistance, the development of fair and honest competition. Proposals made by the rector Kozhakhmetov been adopted by the participants with interest a large collection of lawyers, because the main objective of the Forum - an open dialogue platform where international and national experts have the opportunity to exchange experiences and ideas on topical issues of development of the system of legal education. 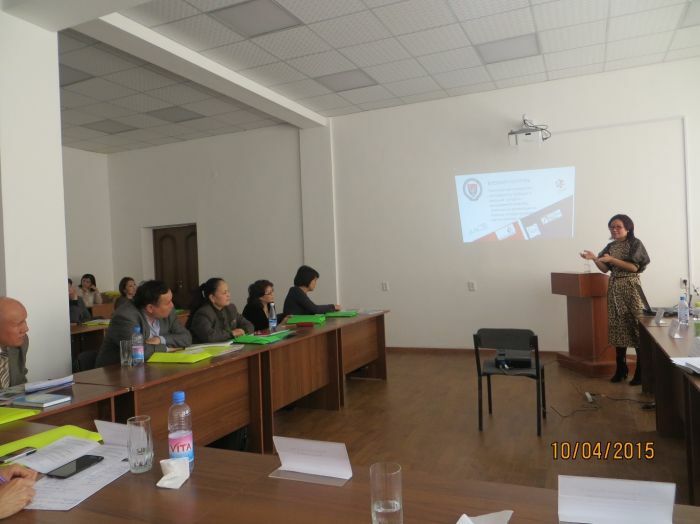 "The constitutional basis for the development of sectoral legislation of the Republic of Kazakhstan"
05.20.15 Director of the School of Law Kalisheva Zh.G. - Ph.D., associate professor, took part in the round table "The paradigm of the rights and interests of the individual" in the Annual Shaykenov readings in the Caspian Public University and made a presentation on the theme "Implementation of international standards of business activity in the aspect of human rights in national legislation : problems and solutions ". 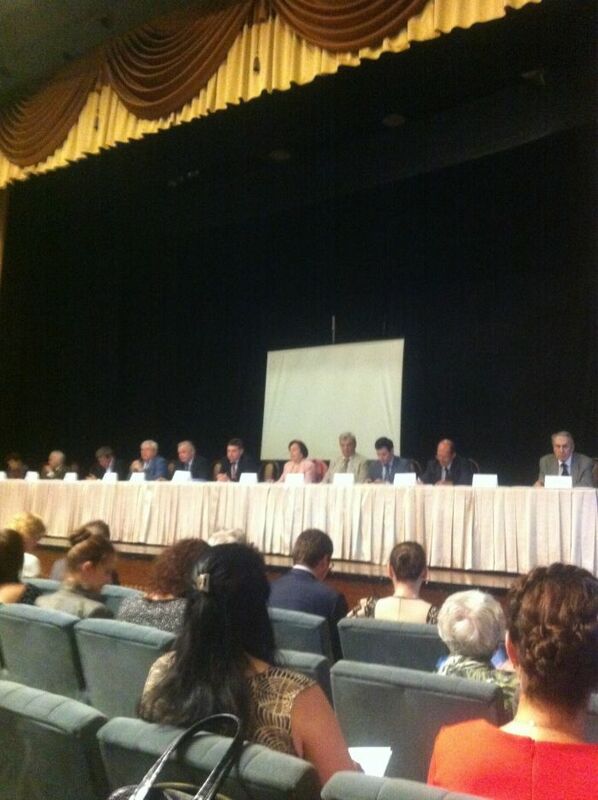 The round table gathered scientists, prosecutors, justice, colleagues, associates and relatives of Shaikenov N.A. "The ratio of international law and domestic law: the concept of objective dualism"
February 12, 2015 Director of the School of Law Ph.D. 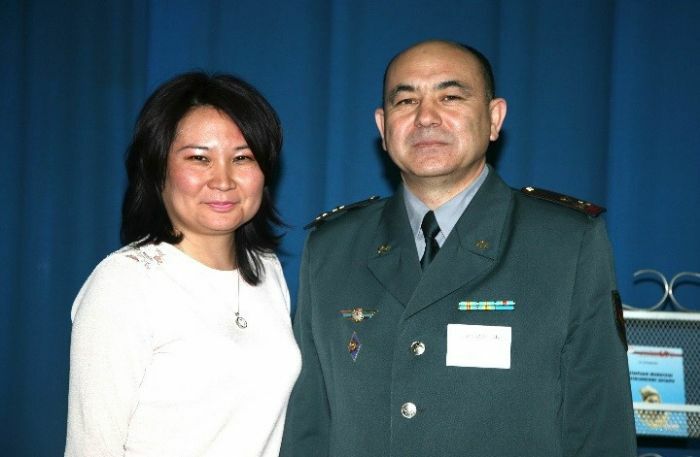 Associate Professor JG Kalishev He took part in the Diplomatic Academy. Topical application topics in modern conditions of development of international relations and international law have been devoted to the speech of President of the Russian Association of International Law Doctor of Law Professor Kapustin, Doctor of Laws Professor, Head of the International Law RUDN Abashidze, professor of the Diplomatic Academy, the diplomat, Ambassador Extraordinary and Plenipotentiary Hlestova. On the photo director Law School Ph.D. 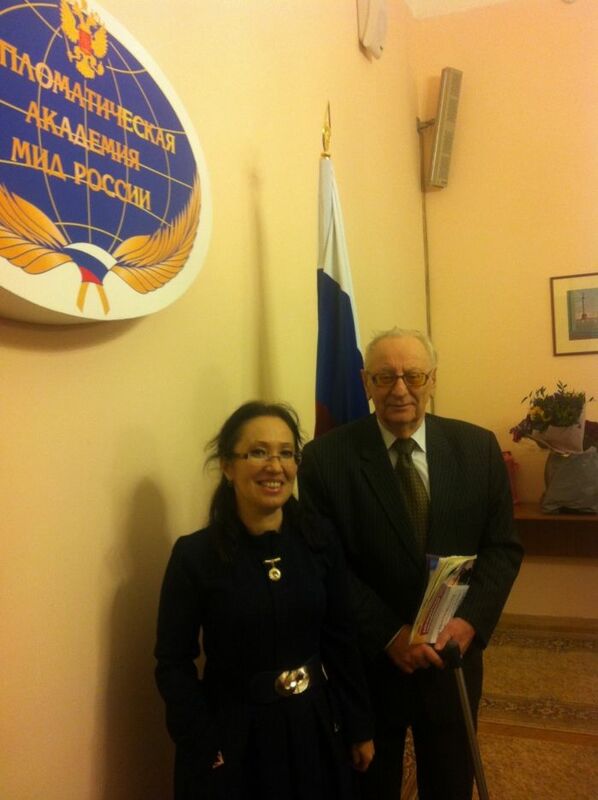 Associate Professor Kalisheva and Hlestov - professor and the Diplomatic Academy of the Russian Foreign Ministry, a veteran of World War II, the diplomat, Ambassador Extraordinary and Plenipotentiary. 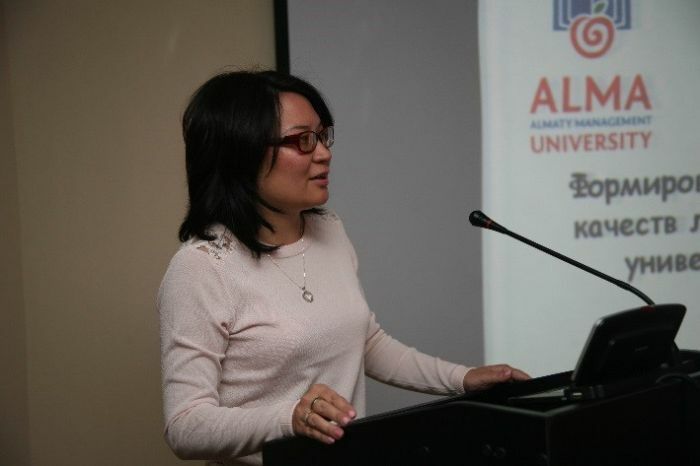 In the context of the topic of the Symposium performance director Law School Ph.D. associate professor Kalisheva actualized the question of the relationship of international law, in particular international criminal law and national law, under the new administration of the Criminal Law of the Republic of Kazakhstan on 01.01.15. 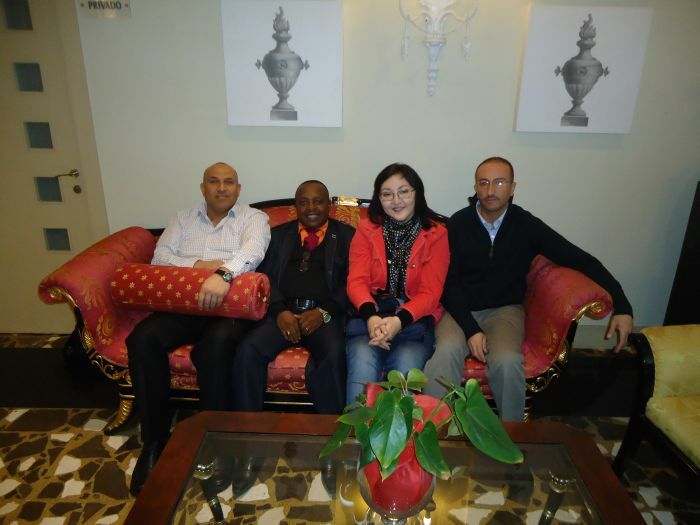 In this context, on 26-28 November 2014 Ph.D., assistant professor of "Law" Law School Tleuzhanova Aiymgul Islyamhankyzy made a presentation on the topic: «Global integration as factor of the introduction of Kazakhstan in the WTO: legal problems and prospects» in the 2nd Mediterranean Interdisciplinary Forum on Social Sciences and Humanities, MIFS 2014 Almeriya city, Spain held European Scientific Institute (ESI) and the University of Almeria. This forum was attended by scientists from Denmark, Germany, Finland, Pakistan, Morocco, Iran, Egypt, Italy, Jordan, Hungary, Poland, Kenya, Nigeria, Latvia, Malaysia, Brazil, India, USA and etc. topical issues in the field of social sciences and humanities were discussed.